If you are wishing to learn how to ride, you can either participate in equestrian courses, or in equestrian camps. During the camps we organise very intensive riding events. Our aim is to prepare the participants physically and mentally for the acquisition of the basics of horse riding. The riding experience will inspire the participants to continue the learning process. We always emphasize the fact that it is impossible to learn to ride in one week however an intensive start provides positive inspiration, and some campers have been able to acquire riding skills during two cams and at some week-ends that enabled them to ride in groups. During the camps the participants receive diverse training focussed on the development of riding skills and communication with horses. We do not separate the participants according to age; we welcome everybody between 12-60 years of age. 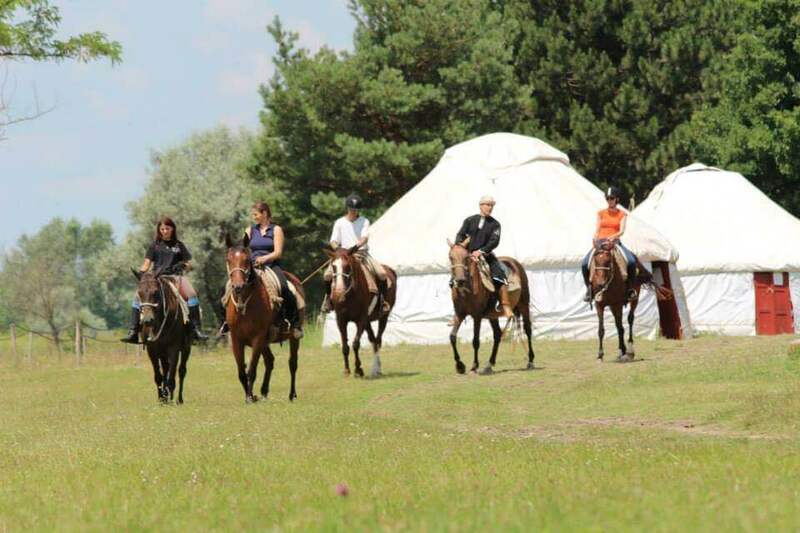 We provide accommodation in comfortable Kazakh yurts. During the camps full board and showers with hot and cold running water are available. Arrival: on Sundays between 5 and 6 p.m. After a short general briefing at around 6 p.m. dinner at 6:30 p.m.
5 hours of equestrian training every day, which includes 2.5 hours of riding and 2.5 hours of theoretical and practical riding instructions. Instructions on horse behaviour and communication with horses. Basic handling exercises: catching the horses in the pasture, driving. tying the horses for saddling. The camp-site accommodates the only Akhal-Teke stud in Hungary. This is the breed that the Magyar warriors rode when they invaded the area that is Hungary today. 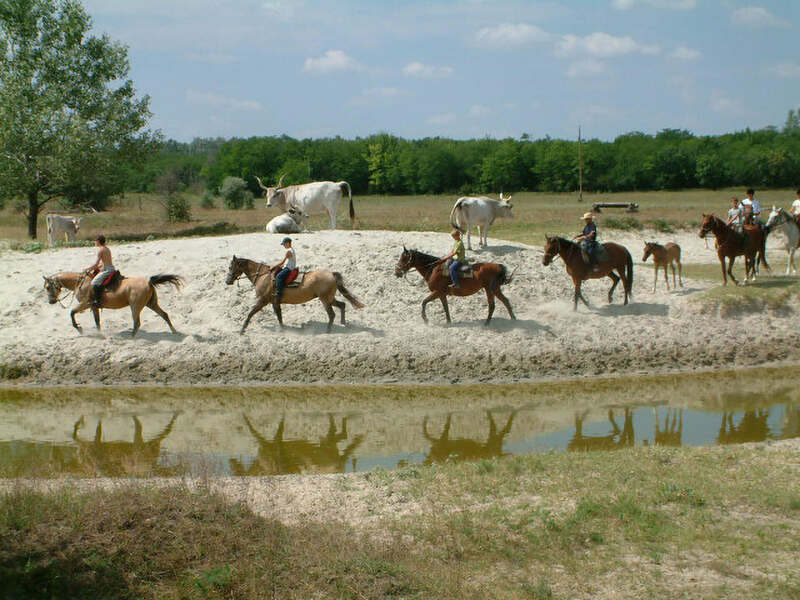 The camp-site and the surrounding pastures are a perfect match to this breed of horses, and the area evokes the days of the Magyar invasion. The yurts set op on the shores of a pond are situated like yurt dwellings used by nomadic horsemen centuries ago. A community yurt with a fireplace, 8 tables and a serving table, a large grid for grilling, poles, chains and hooks for cooking pots, basins for washing dishes, refrigerators, a gas cooker is also available.